You will be welcomed at the airport by your guide and drive to Bom Jardim, near Nobres (journey time about 2.5 hours, 150 km). In the late afternoon we reach the Pousada (possibly for lunch, depending on arrival time at the airport). After the Pousada check-in at about 5 pm you drive to Lagoa das Araras, where there are hundreds of different bird species (yellow-breasted macaws, parakeets, and other parrot species). Return to the lodge and dinner. Afterwards time at leisure. Breakfast at the lodge around 07:00 am. After breakfast you will enjoy the unique beauty of this colourful landscape. You will be equipped with snorkel gear (life jacket, diving goggles, snorkel and diving shoes - these will be cleaned after use). In the crystal clear spring pool you can enjoy the underwater world. Between the fishes like the Pintado, Dorado and various aquarium fishes you almost feel like a fish. 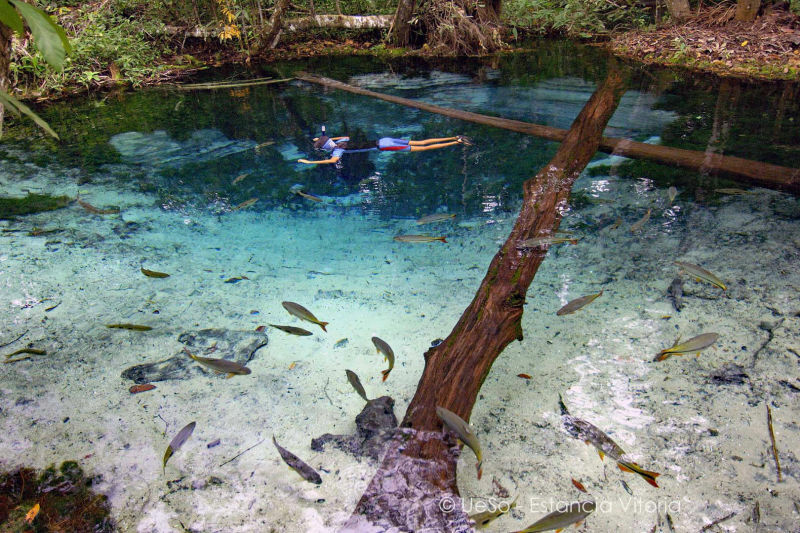 Afterwards you will snorkel slowly down the river and experience a highlight you will never forget. Lunch will be at the pousada. After lunch you drive 32 km (29 km of which are unpaved roads) to a fazenda. 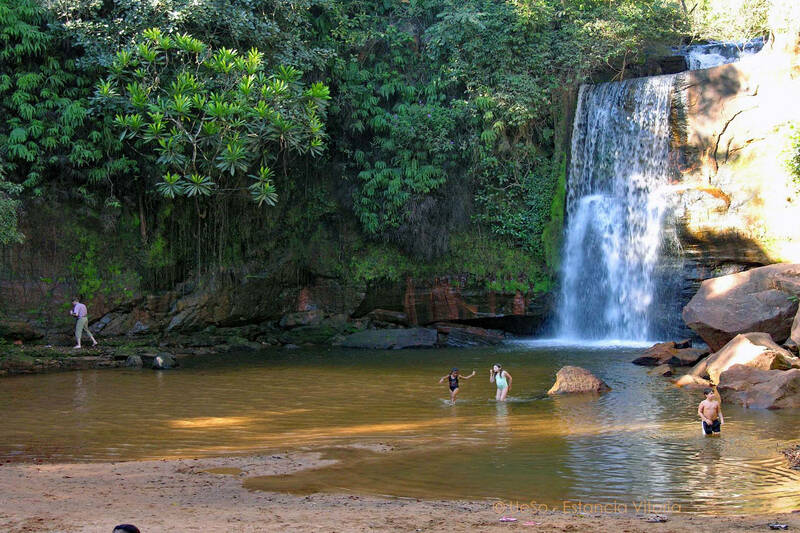 On the site of this fazenda is one of the most beautiful waterfalls in the state of Mato Grosso, with a shimmering blue lagoon. They call it "Cachoeira da Serra Azul" (waterfall of the blue plateau). 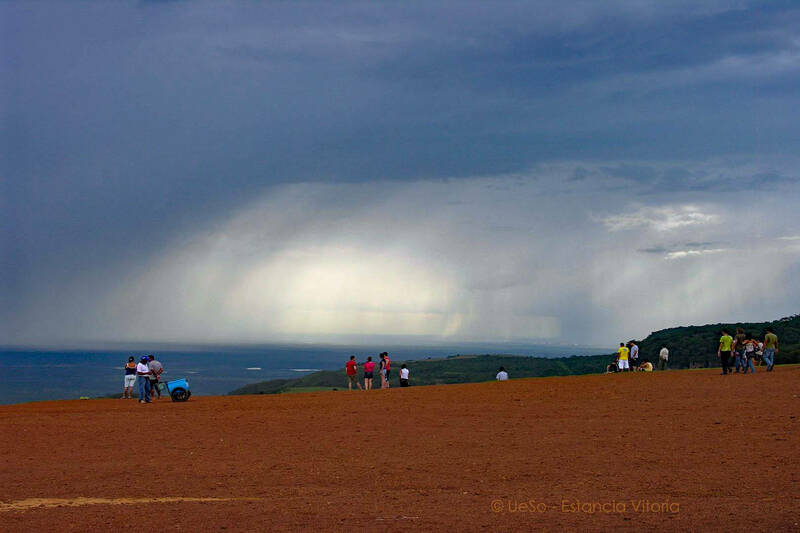 A unique natural spectacle that you should not miss. In advance you will be equipped with a life jacket and snorkeling equipment. Here you can visit a sanctuary of Aras, which is located on the grounds of the lodge. Here live capuchin monkeys, yellow-breasted macaws, with a little luck you will also see a red macaw. Afterwards about 2 km drive to the entrance of the nature reserve, the rest to the waterfall you have to cover on foot. The way to the goal is a bit strenuous for the inexperienced. You walk a small path through a gallery forest, then climb about 480 stone steps steeply uphill to reach the lagoon. In completely secluded, untouched nature you will be enchanted by the sight, a big blue shimmering waterfall splashing before you. If you wish, you can dive together with the fish again. Return to the lodge in the late afternoon, dinner. Rest of the evening at leisure. If you wish, your tour guide will take you on a short night hike in the nearby gallery forest to track down animals that are active at dusk. 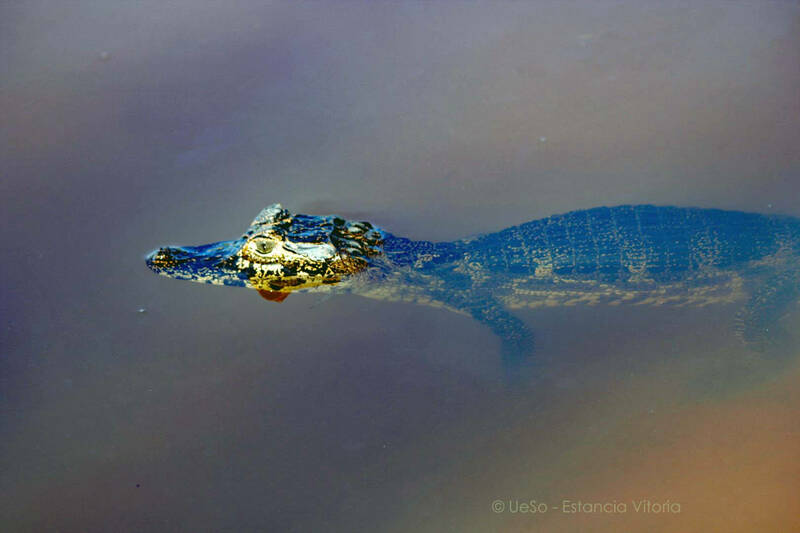 After breakfast you drive to the Pantanal (288 km, 38 km of it are natural roads on the famous Transpantaneira). 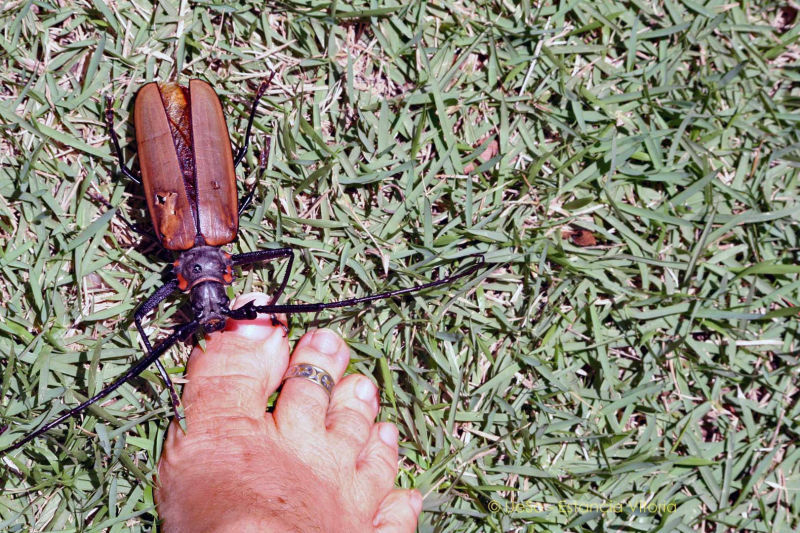 On the Transpantaneira you do several stops to see the flora and fauna. At arrival at the Pousada UeSo Estância Vitória, you will be served lunch in buffet form. 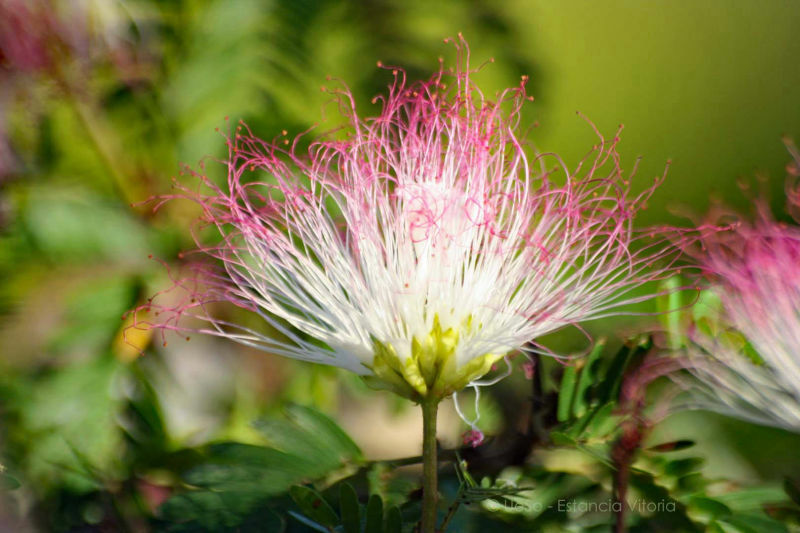 After lunch and a short rest you will take a stalking tour on foot to see many native bird species and hopefully capuchin monkeys and maybe even the howler monkeys. There you can also climb our 17 meter high tower and enjoy the view. Return to the lodge for dinner. Afterwards time at leisure. After breakfast you go on a riding tour (also well possible for people without riding experience). 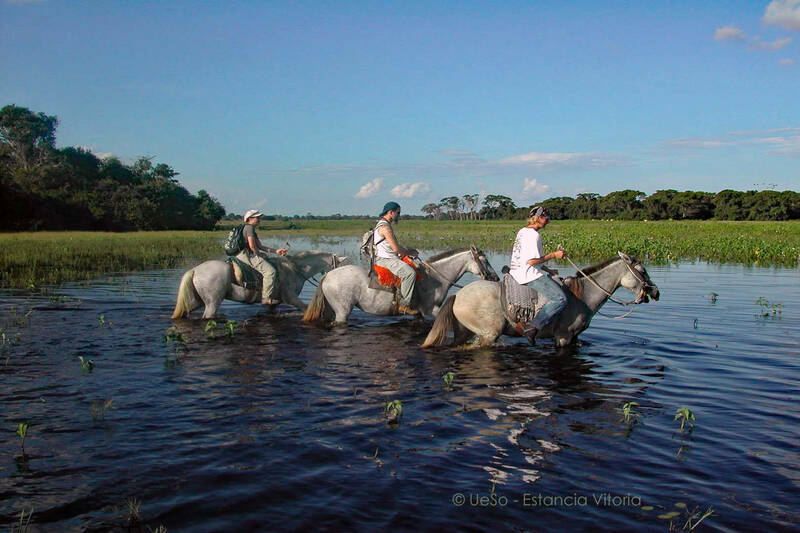 You ride through the beautiful alluvial land and you will surely meet some animals. After lunch you can relax at the pool, so time at leisure. In the late afternoon we drive to Transpantaneira to see some mammals like capivaras, birds like jabirus (Tuiuius) and caimans (Jacares). 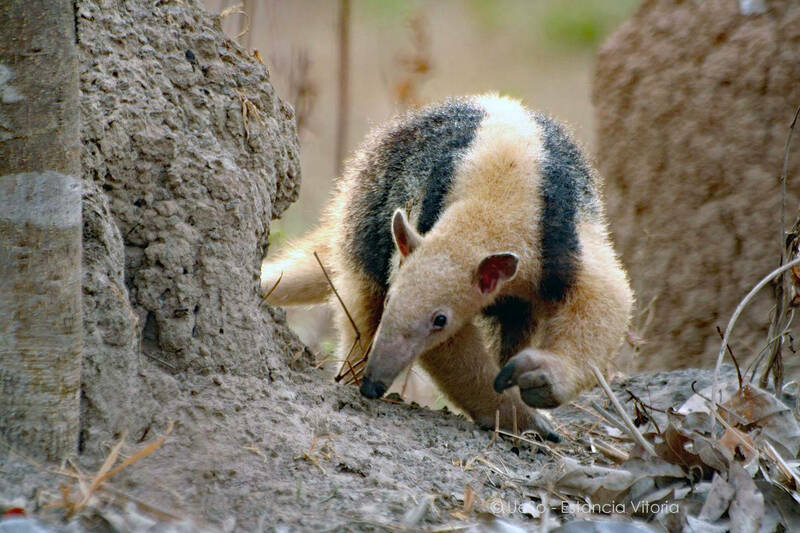 With a bit of luck, our guides can also track down an anteater or tapir for you. Return to the lodge and dinner. On request, a night safari on foot to track nocturnal animals can be arranged after dinner. Do not forget to bring your flashlight. On request, a sunrise tour on foot can be arranged around 05:30 am. Breakfast is at the lodge. After breakfast we take a boat trip to maybe observe a giant otter family. You'll see a lot of birds. Lunch is at the lodge. In the late afternoon, you will take your second riding tour to track down mammals and birds. Return to the lodge, where the buffet is waitting you. Depending on the time of departure, you can visit the observation tower on foot. Sometimes capuchin monkeys cavort there. Transfer to the airport. In the lodges described in this tour you can see a variety of kingfisher species, barred herons, royal forktail tyrants, blue-throated eagle guanas, giant tukans and giant otters. Near the lodges there is a gallery forest where many species of birds live, such as blue-crowned trogons, red-tailed Jacamaras, collared macaws, potter birds, line woodpeckers and fox-red tree climbers. But also many other mammal species like e.g. : You will discover howler and capuchin monkeys, tapirs, big anteaters, small anteaters, marsh deer, armadillos, capuchins, maned wolves, foxes and many more.